With lactose intolerance affecting millions worldwide and consumer awareness of dairy practices rising, the non-dairy product market is expanding. From alternative milks to cheese, consumers today have plenty to choose from to satiate dairy cravings without eating dairy. 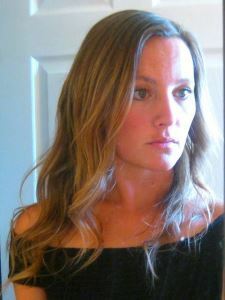 However, many of these products cost much more than their dairy counterparts, and often contain unwanted ingredients. This is especially the case with frozen desserts. 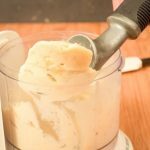 Enter, “nice cream”: a banana ice cream recipe made without an ice cream maker. 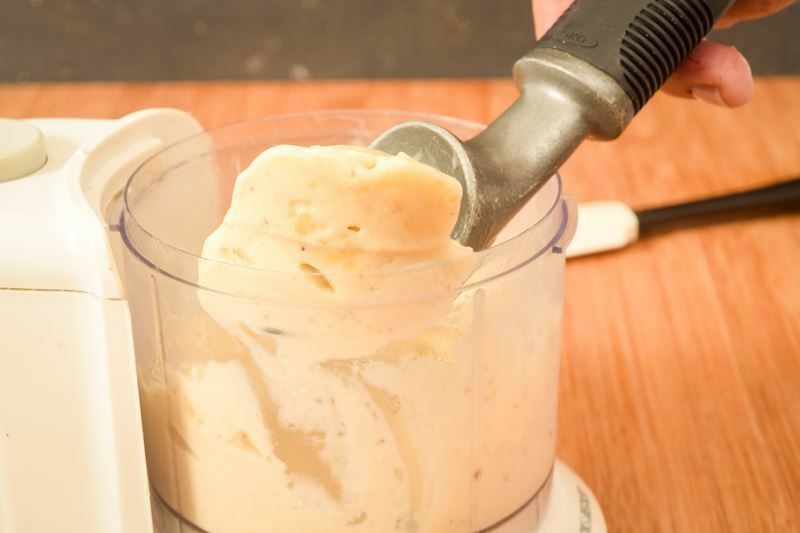 Believe it or not, we can show you how to make ice cream using bananas and nothing else. This one-ingredient, non-dairy dessert remarkably resembles the original. 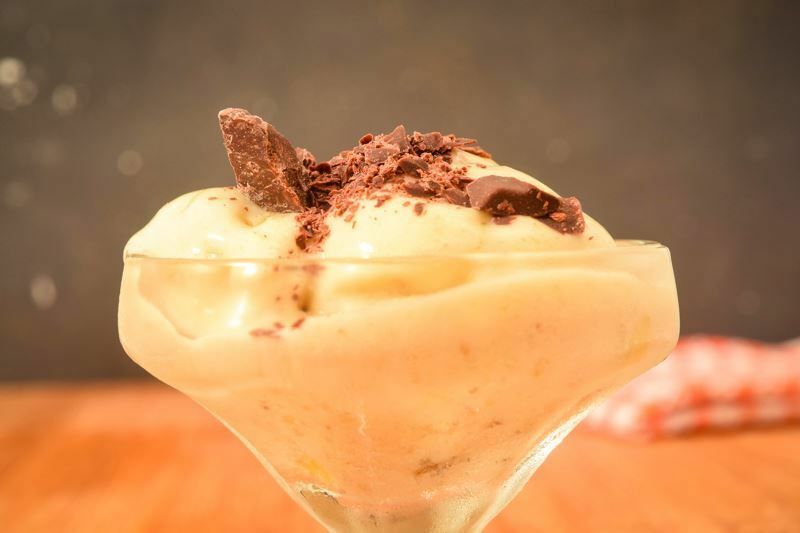 Below you can find our delicious and easy homemade banana ice cream recipe. 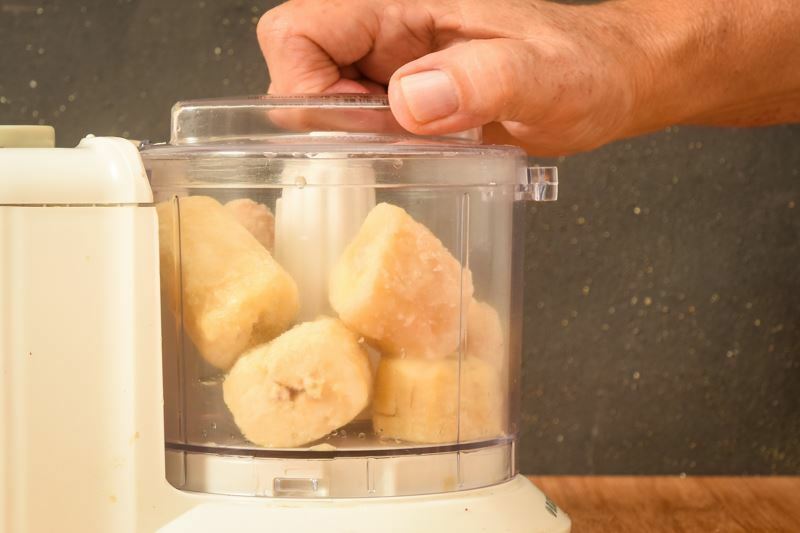 To whip a batch up yourself, all you need is a frozen banana to puree in a blender or food processor. 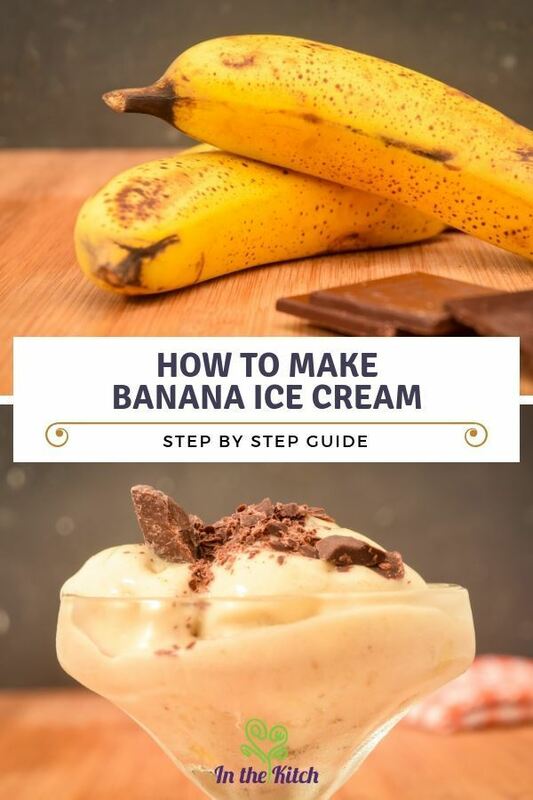 Just follow the six simple steps to learn how to make banana ice cream at home and start on your way to enjoying a bowl of sweet, creamy goodness as soon as possible. 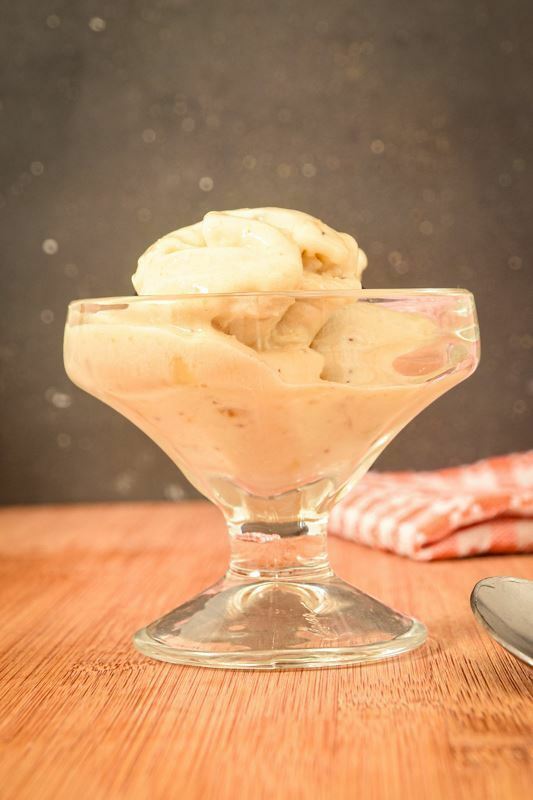 When you make homemade banana ice cream without eggs, vegan eaters can indulge as well! Optional: dark vegan chocolate to garnish. 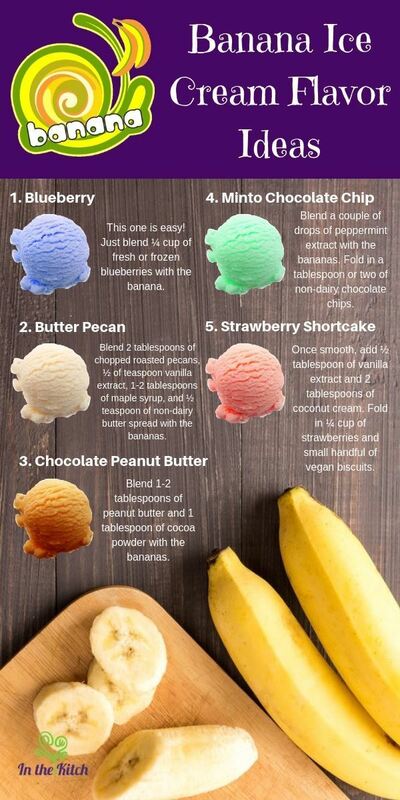 Cut the banana into big chunks. 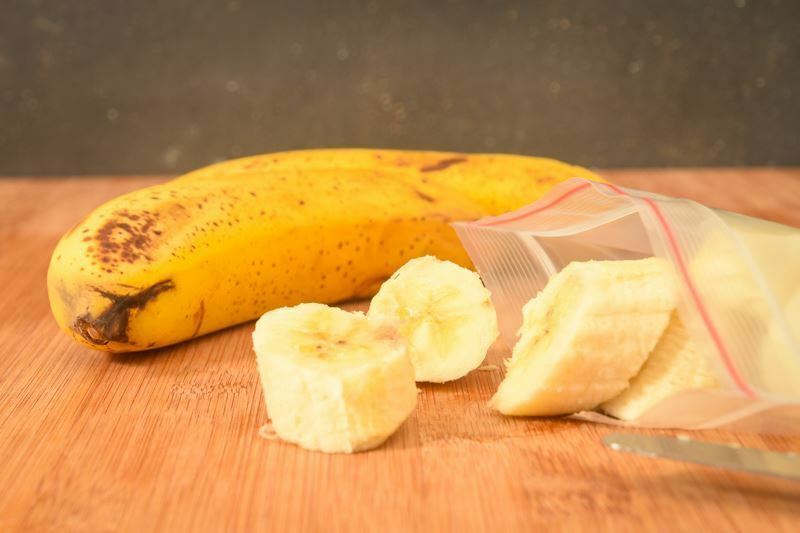 Place the banana pieces into a plastic bag and freeze for 1 day. 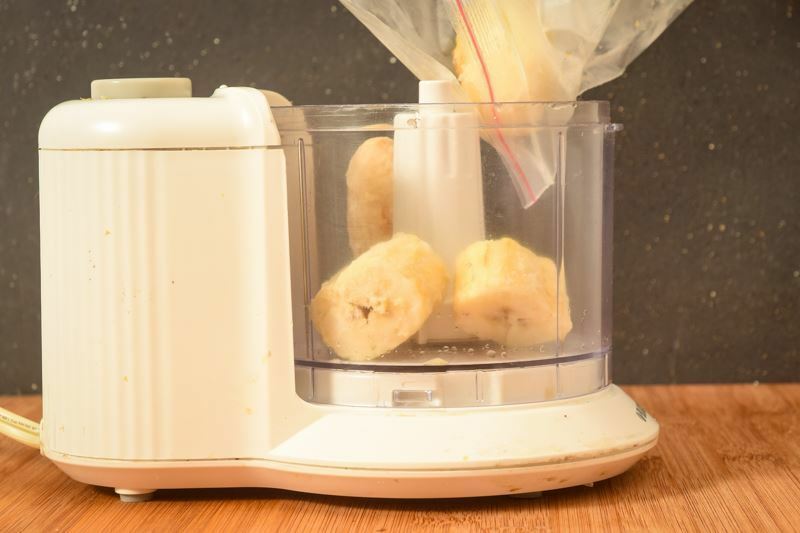 Process the frozen banana until smooth and very creamy. 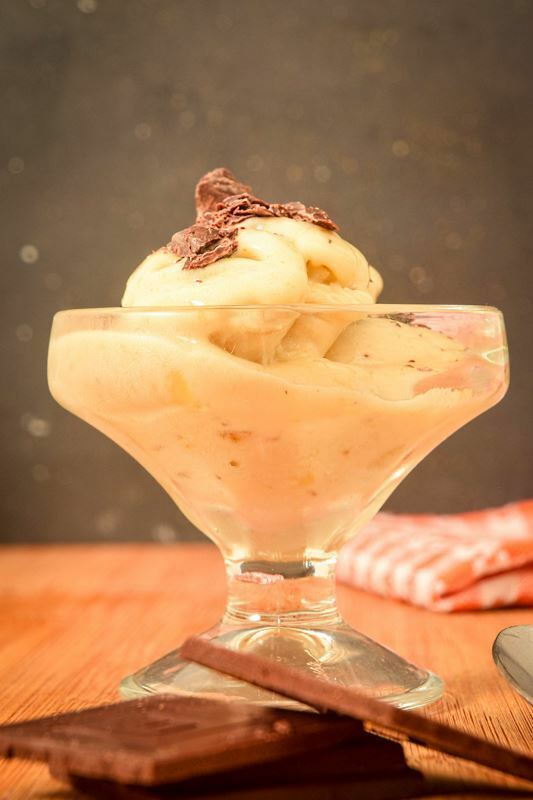 Scoop out the banana ice cream into a dessert dish. OPTIONAL: Garnish with shaved vegan chocolate. Blueberry: This one is easy! 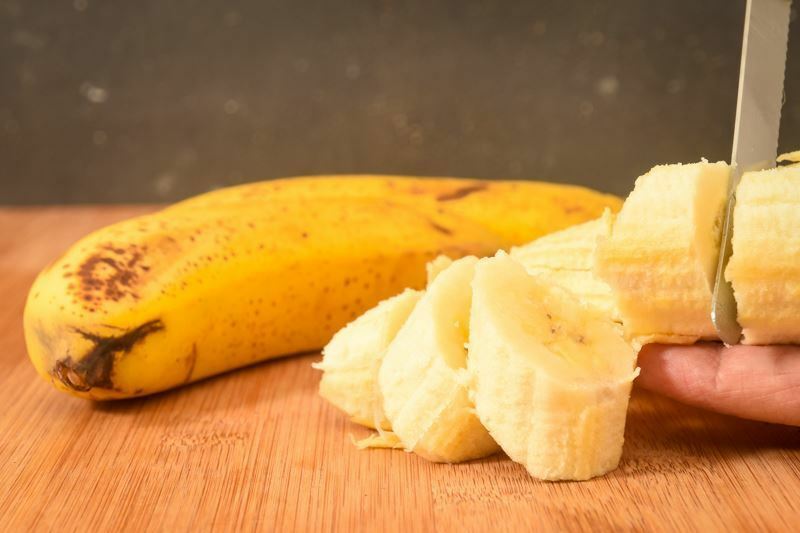 Just blend ¼ cup of fresh or frozen blueberries with the banana. 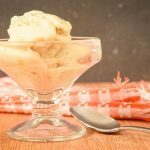 Butter pecan: Blend 2 tablespoons of chopped roasted pecans, ½ of teaspoon vanilla extract, 1-2 tablespoons of maple syrup, and ½ teaspoon of non-dairy butter spread with the bananas. 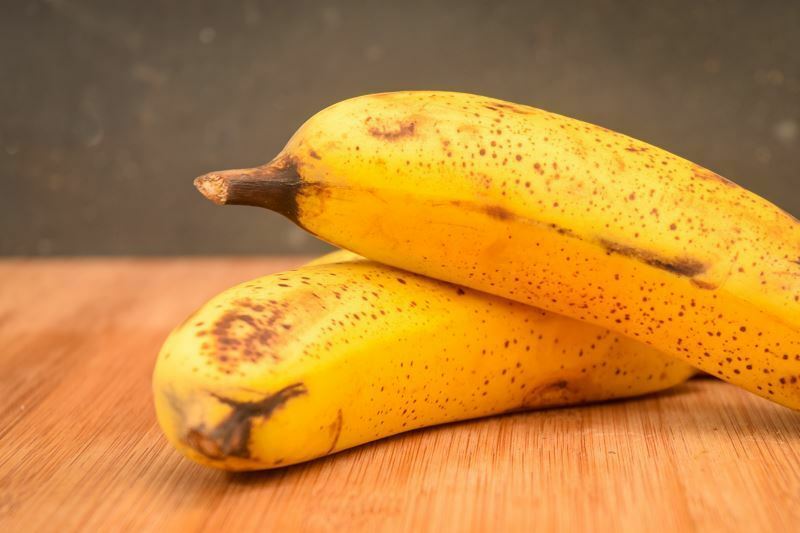 Chocolate peanut butter: Blend 1-2 tablespoons of peanut butter and 1 tablespoon of cocoa powder with the bananas. 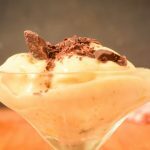 Mint chocolate chip: Blend a couple of drops of peppermint extract with the bananas. Fold in a tablespoon or two of non-dairy chocolate chips. Strawberry shortcake: Blend the bananas. 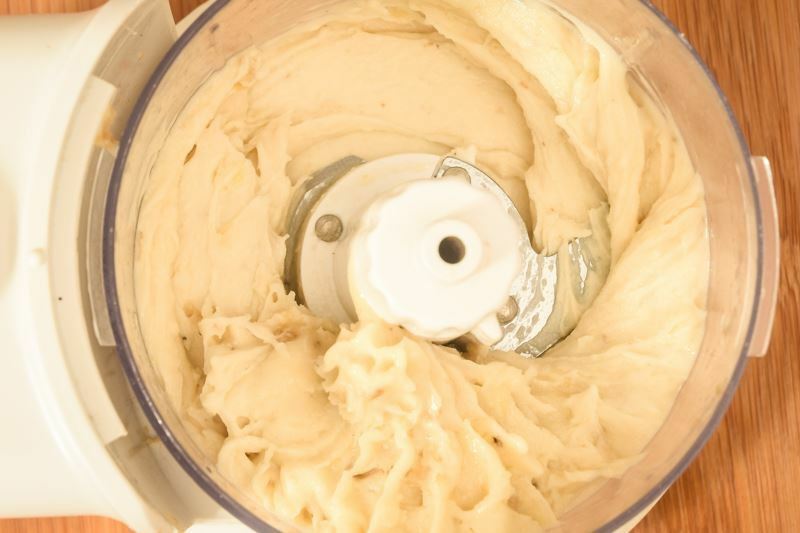 Once smooth, add ½ tablespoon of vanilla extract and 2 tablespoons of coconut cream. Fold in ¼ cup of strawberries and small handful of vegan biscuits. 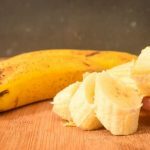 If it doesn’t seem that the bananas are blending into a smooth mixture, don’t panic! They’ll look like rough crumbles at first. Just wait a few minutes for the magic to happen. 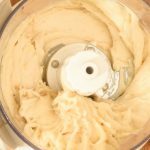 For some flavors, like peanut butter, you might need to add a splash or two of almond or coconut milk to help the blending process. 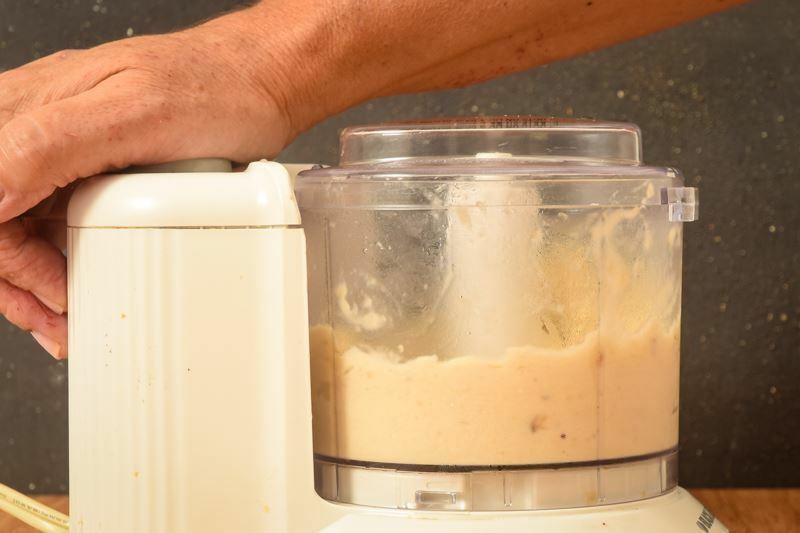 For soft-serve, enjoy your healthy creation as soon as it finishes blending. 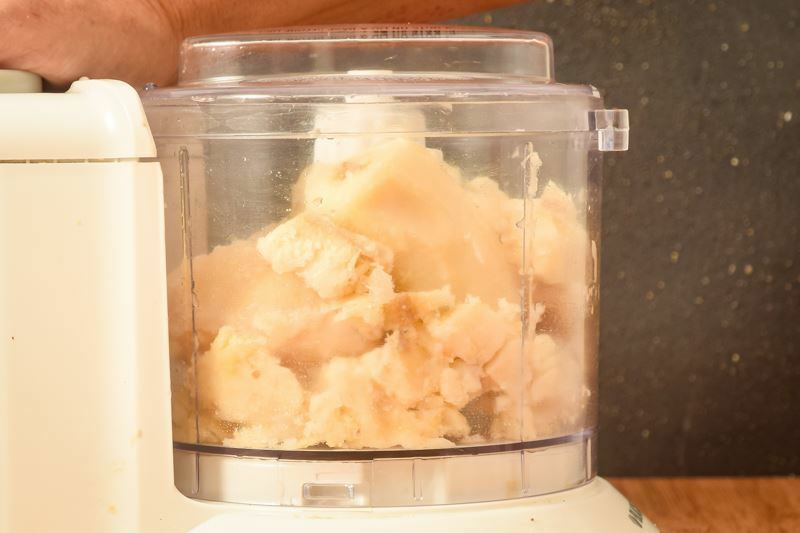 If you like harder treats, freeze the mixture in a covered container until firm. What do you think: How does this easy, moo-free recipe compare to store-bought options? 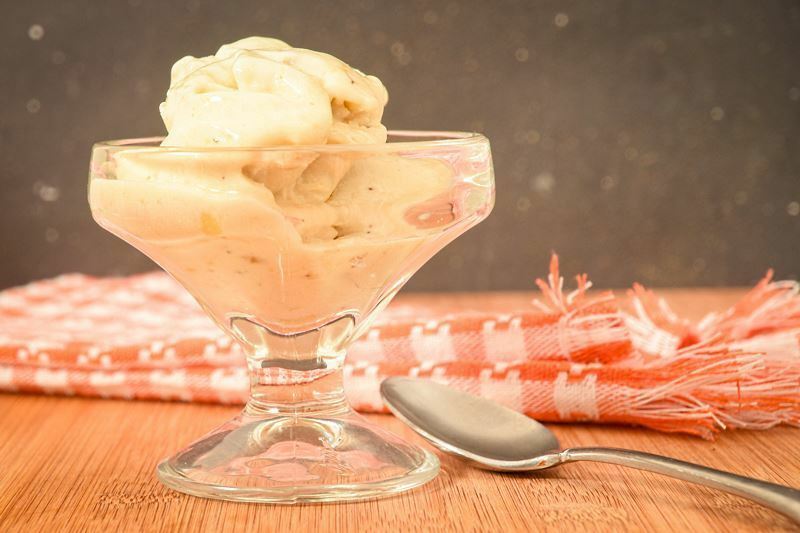 Believe it or not, we can show you how to make ice cream using bananas and nothing else. This one-ingredient, non-dairy dessert remarkably resembles the original. 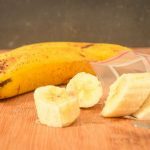 Place the banana pieces in a plastic bag and freeze for 1 day. Optional: Grate the vegan chocolate on top of the ice cream.